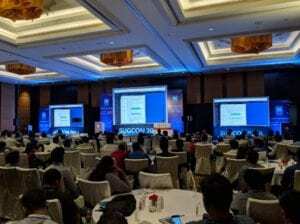 Sitecore’s first major User Group conference in Asia, was held in Bangalore, India, on May 16-17 2018. Originally the event was intended to accommodate 150 people, but interest exceeded expectations and the event reached more than 200 attendees. Held in Berlin, April 23-24, Sitecore User Group Conference Europe marks the largest community event to date. A total attendance of 600+ people, coming from all over Europe, North America, Middle East and even Australia and New Zealand. 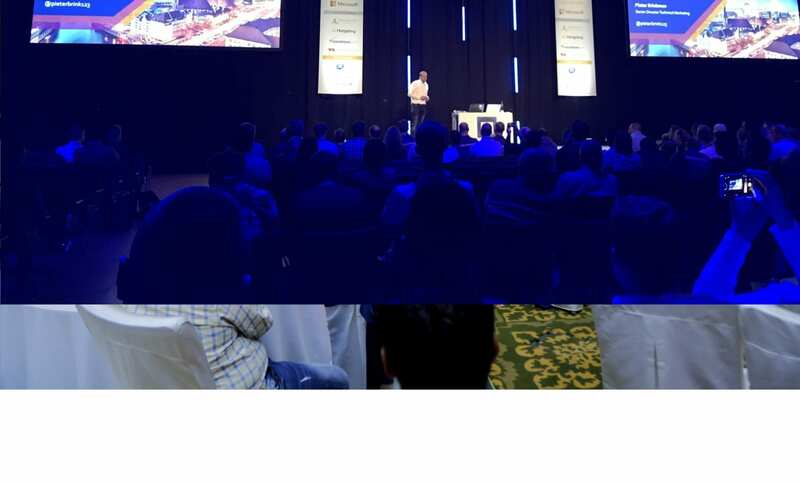 I had the honor presenting the opening keynote of SUGCON EU together with my Technical Marketing team. 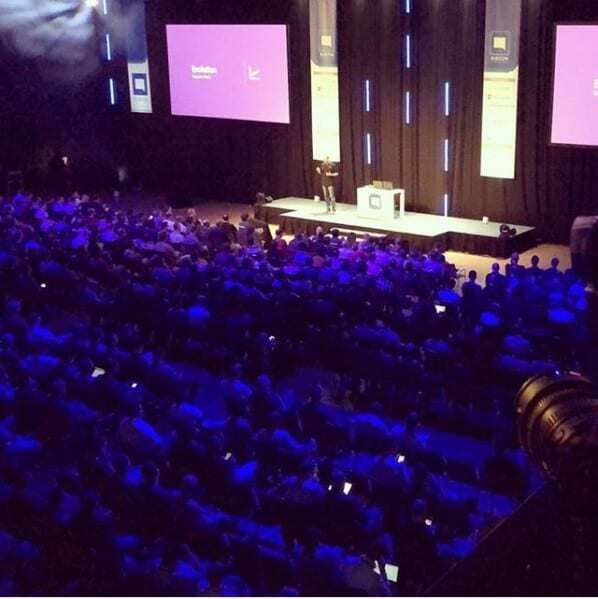 I started the keynote sharing my experiences and the evolution of SUGCON. 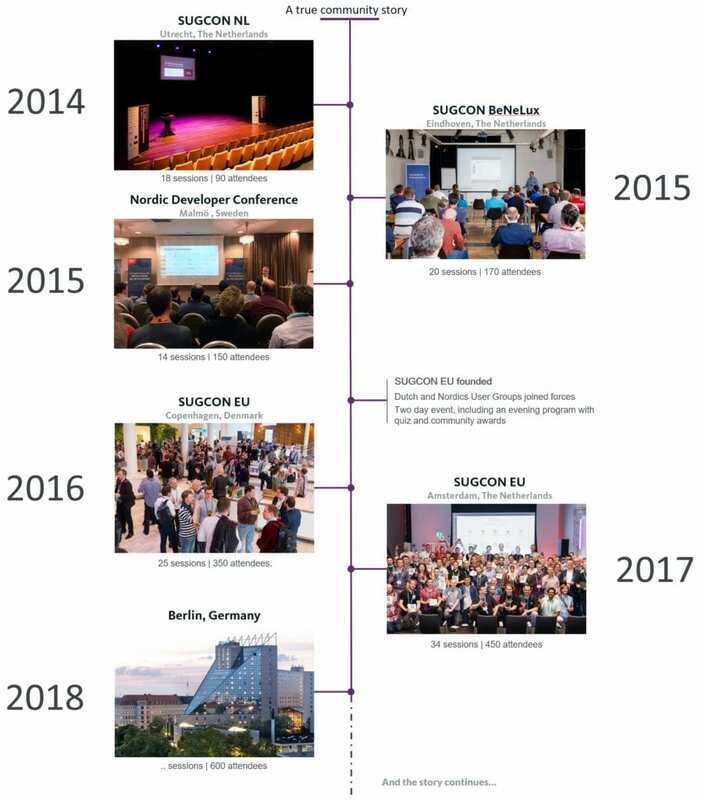 How SUGCON started in The Netherlands in 2014 hosted by the Dutch User Group with 90 attendees growing in a few years to the largest Sitecore community event with 600 attendees in Berlin. Thanks to the SUGNL and SUGDK to make this happen! This year we had a jam-packed itinerary of over 40 sessions, put together by Sitecore employees and community members, had something interesting for everyone to see and learn about regarding the latest release: Sitecore 9.